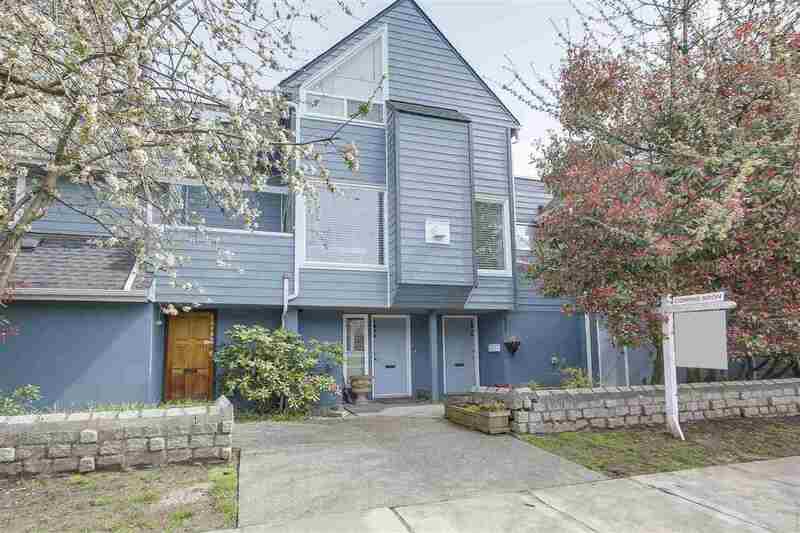 Situated perfectly in the heart of Kitsilano, north of 4th and steps to everything. Two-levels spanning over 1100 sq. ft, bedrooms upstairs with kitchen and living down, heated tile floors in the foyer and main powder room, updated kitchen with stainless steel appliances, patio on ground level and balcony off the master bedroom, unique loft style storage space in the second bedroom, house sized laundry room, single ATTACHED garage, the list goes on and on. It is tough to find this type of space in a location so desired. Very well maintained building. Roof done in the last 5 years, exterior replacement was completed a couple months ago and windows and doors have been replaced when needed. Huge peace of mind for the new owner. Open House May 5 & 6 2:00-4:00PM.